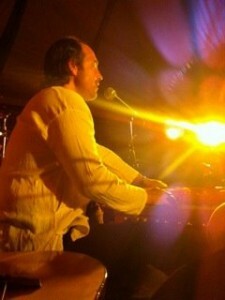 Saul David Raye ignites hearts in Colorado, Jai Uttal awakens bhakti in Sedona, and Gaura Vani teaches harmonium in NY. 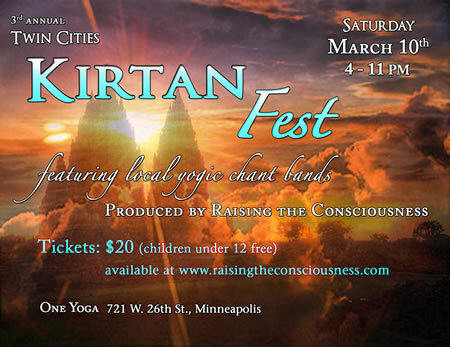 The Twin Cities Kirtan Fest lines up SIX local bands, and ChantLanta unites Wah!, David Newman and Sean Johnson & the Wild Lotus Band with EIGHT local bands. Plus Benjy Wertheimer and Steve Gorn in Portland, Cooper Madison and Daniel Stewart in SoCal, Bhakti Sessions and Goddesses in NY. The bhav is everywhere. SAUL DAVID RAYE has a reputation for creating transformative experiences in yoga and chant, and this weekend”s Inner Alchemy retreat at Karma Yoga Center in Denver will be no exception. Between Friday night and Sunday afternoon, the master yogi, beloved bhakta and co-founder of Exhale Venice presents six integrated sessions focused on “strengthening and activating the spiritual heart and doing inner transformation through the 7 levels of energy within.” Come for one session or all six, but DON’T miss Saturday night’s ANANDA COSMIC KIRTAN, described as “a moving, ecstatic, expansive and raw experience that dives deep into the nectar of the heart.” Saul will be joined by local musicians JIM BECKWITH (guitar/vocals) and DAMON THE ZEN DRUMMER (djembe drums/percussion). JAI UTTAL is back from Bodhi Fest in Australia and heading straight to Sedona, Ariz. for kirtan Friday night and a mid-day workshop Saturday called “Awakening Bhakti: A Celebration of Divine and Human Love.” In it, Jai promises to “demystify” bhakti yoga. His message: “With just a little understanding of music and rhythm and a lot of self acceptance, we all can sing and lead and share our hearts with others.” Bhakti Tribe Sedona is hosting the program, Jai’s first trip to the city in four years. DANIEL PAUL will be on tabla. Sedona is pumped. 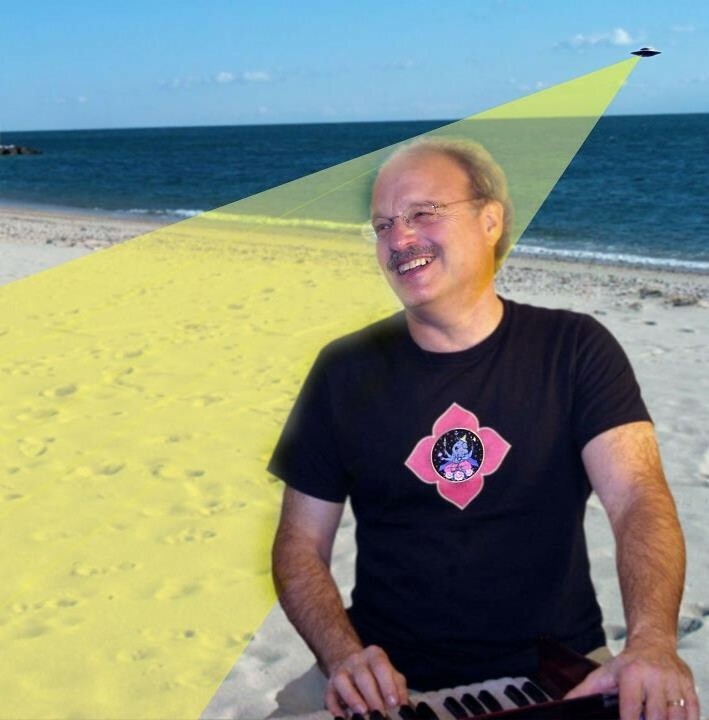 GAURA VANI is back by popular demand for Level 2 of his harmonium workshop series at Yogamaya in NY Friday through Sunday. 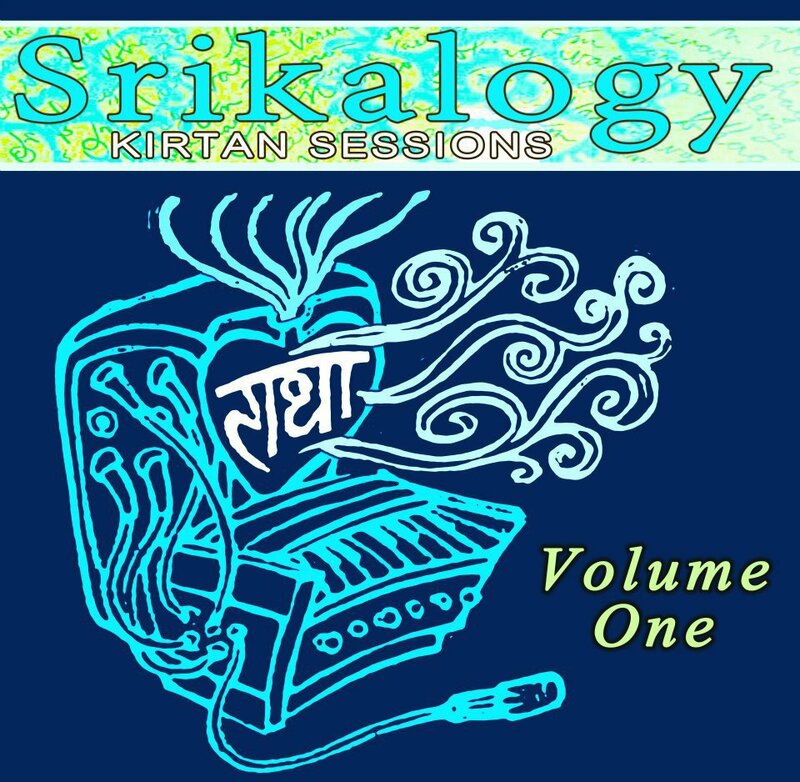 This is a “hands-on, voice-on, full-on intensive” designed to help participants build on basic skills, lead group chanting and chant with the group, get comfortable reading music, and delve deeply into the practice of kirtan. Open to anyone who has “ever had your hands on a harmonium and wanted to get better,” whether you took the Level 1 or not. Here’s a beautiful example of a kirtan community coming together as one: six local bands, each with its own unique sound, chanting for six hours straight over the course of a Saturday. No “national acts.” No superstar yogis or simultaneous workshops going on. 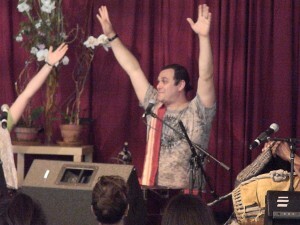 Just good, pour-out-your-heart hometown kirtan with 150 or so of your closest friends. That’s the 3rd annual Twin Cities Kirtan Festival. Let me see if I can get this line-up right. TULSI DAS (aka JOSH POLICH) starts it off at 4 p.m.; then KIRTAN COLLECTIVE; OM BOLO (MELISSA FOSSUM, ANDREA SULLIVAN, BRYCE KASTNING, ALEXANDRA THIEM); and WILD MOON BHAKTAS. Next up: SITARA & KALYANI and PAVAN KUMAR (who will soon be playing at Bhakti Fest Midwest), with PABLO CHARIS and WILL KEMPERMAN. 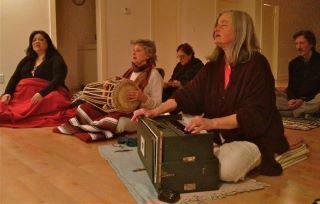 Finally, KIRTAN PATH (PASCALE , NANCY, MARK and GANGAMANTRI DAS) takes the closing set. All for 20 bucks. (And door prizes too — including a ticket to Bhakti Fest Midwest in June.) What’s not to love? Speaking of regional kirtan fests we love everything about, there’s ChantLanta, whose theme is Peace, Love & Kirtan in the South. And with WAH!, DAVID NEWMAN & MIRA, SEAN JOHNSON & THE WILD LOTUS BAND plus EIGHT (yeah, eight) local/regional bands playing, there’s going to be a lot of peace, love and kirtan going on Friday night and morning-to-midnight Saturday at the magnificent Druid Hills Baptist Church. For the full story behind ChantLanta and a full list of the local bands, please read Get the Bhav: ChantLanta. This is not just any pairing; this is Indian classical music with master multi-instrumentalist BENJY WERTHEIMER (of SHANTALA) and bansuri flute master STEVE GORN. Enough said? I thought so. 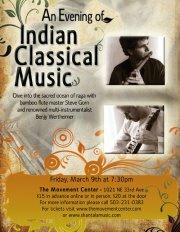 They will be moving souls at the Movement Center in Portland, Ore. on Friday 3/9. Bhakti Sessions, the brainchild of SRIKALA KEREL ROACH and JESSE JOHNSON, kicks off this Friday 3/9 at City Life Wellness in Brooklyn. With eight evenings scheduled for the month of March, these gatherings promise to “go deep into the land of transcendental sound vibration,” with an acoustic approach to kirtan weaved with poetry, affirmations and stories. 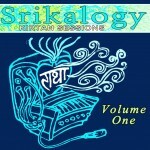 Srikala’s brilliant new CD, Srikalogy Kirtan Sessions Volume 1, which weaves hip-hop and reggae sounds into traditional chants, is now available on iTunes, Amazon and Spotify. Kundalini yogini, Sikh minister and Yogi Bhajan disciple SATKIRIN KAUR KHALSA brings her sacred chanting to Integral Yoga NY for “Joyful Sounds of Kirtan” on Friday 3/9, accompanied by TRIPP DUDLEY on percussion and BRANDON TERZIC on oud and guitar. Sure to be a transformative experience. PSALM ISADORA is back too, and reconvening Shakti Church at the Shiatsu Massage School in Santa Monica this Sunday 3/11. The event supports a documentary in gestation called “Shakti: The Power of Women.” The service at “Church” will include 108 sun saltuations, kundalini tantra breathwork, chanting with Mother Medicine Kirtan, ecstatic dance and drum circle. Jai Shakti Ma! Up the 405 in Sherman Oaks, Calif., DANIEL STEWART and friends are gathering for their monthly community kirtan jam fest at Rising Lotus Yoga. Joining Daniel Friday 3/9 are ARIELLE SILVER (vocals and tambourine), CATHY CAVADINI (vocals), SHANNON BAKER (vocals and kartals), JEFF HARRIS (guitar), DARBY ORR (bass), and GREG KLIMUCK (cajon and percussion). Expect ecstatic-ness. The 7th Annual Woodstock Goddess Festival is here. Billed as a music/art/dance celebration, the popular event benefits the Ulster County battered women’s shelter. This year’s festival runs Friday 3/9 to Sunday 3/11, at the Colony Café in Woodstock, N.Y., and includes all female-fronted live music with artists such as UBAKA HILL, bellydancing with THE WILD ROSES, a Goddess/Women’s art exhibition at Varga Art Gallery in Woodstock, a Goddess Poetry Festival, and, yes, chanting, with SAHAJA KIRTAN (7 p.m. Satuday 3/10), a local artist who is a regular at Kripalu and at Omega staff kirtans. Sahaja is also teaching drop-in harmonium classes at Euphoria Yoga in Woodstock every Friday in March. New England’s Got Heart and…UFO’s? 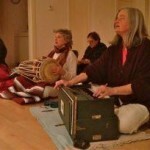 Maine kirtaniyas band together this Saturday 3/10 to raise funds for Sadhana, a South Portland meditation center that often hosts chant events. 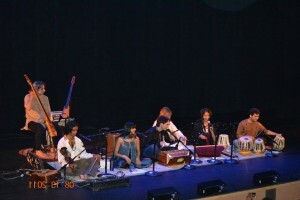 The event, dubbed Anahata (for heart), features bhaktas from western, eastern and southern Maine: ANANDA BHAKTI, FULL HEART COMMUNITY KIRTAN and KIRTONIUM, who will play as one ensemble beginning at 7:00 P.M. Gong Meditation and healing circle with TODD GLACY, SUZANNE SILVERMOON and KATHY MOORE starts at 4:30, with pot-luck dinner in between. 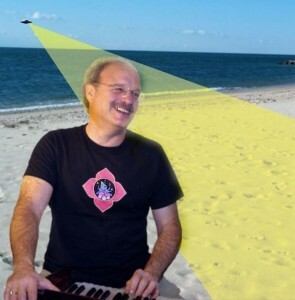 DAVE RUSSELL takes up root and spreads his wings at Roots to Wings Yoga in greater Newbury, Mass., for an evening of devotional chant Saturday 3/10, where he’ll be joined by HOLLY HARTMAN (vocals), CHARLIE BRAUN (guitar & vocals ), and CHARLIE SHEW (percussion) — and maybe a UFO? Dave’s second CD will be released this Spring. 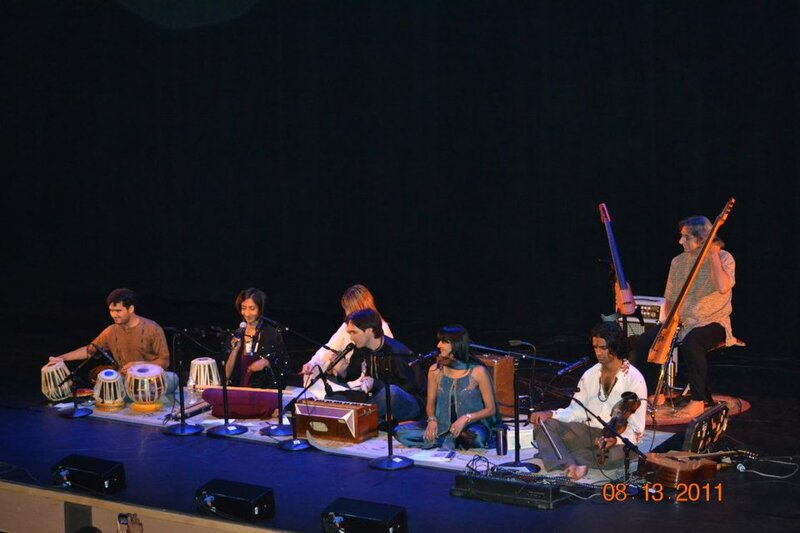 THANK YOU for sharing THE BHAKTI BEAT with your bhakta friends!